- Below is the latest Second Chance promo for WWE's Mixed Match Challenge, featuring Sami Zayn and Becky Lynch asking fans to bring them back for the Week 11 match with Bobby Roode and SmackDown Women's Champion Charlotte Flair. 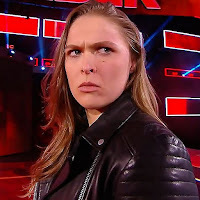 - Ronda Rousey appeared on stage at the WrestleMania 35 press conference at MetLife Stadium today with Triple H and noted that she will be in the ring next year for the big event. Below is video of the segment with Rousey and Triple H.
Rousey shakes hands with Triple H and gets in his face as he tries to leave. Triple H is all smiles but Rousey stares him down. 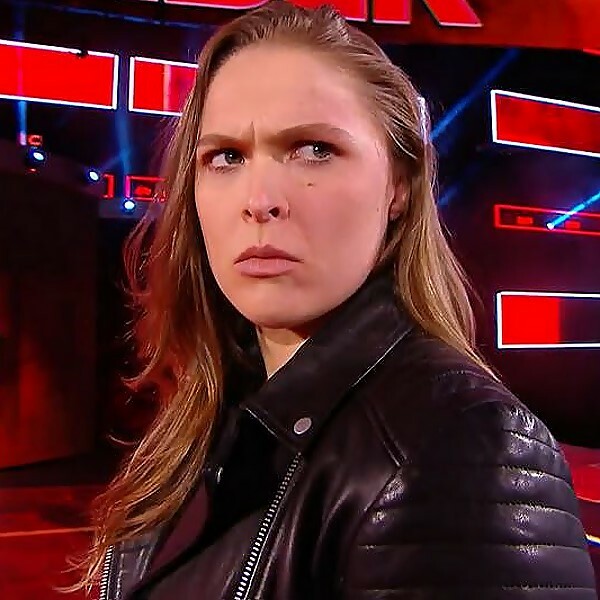 Rousey will team with WWE Hall of Famer Kurt Angle to face Triple H and Stephanie McMahon at WrestleMania 34 next month. Rousey talks about how thankful she is to be with WWE today and says fate brought her to the company, she was destined to be a part of the team. Rousey says it will be an honor to represent WWE Hall of Famer Roddy Piper next year and that this is only the beginning.